Guilford, CT, Scouts BSA, Troop 471 is a member of the Lighthouse District of the CT Yankee Council. We are a boy led outdoor-oriented troop. Troop 471 conducts a wide variety of activities that provide adventure and fun while giving scouts opportunities to develop leadership and practical skills. The troop's activities are scheduled to give as many scouts as possible the opportunity to participate, even though they may be involved in other school and athletic activities. We camp most of the year with a program goal of getting the boys outside as much as possible. Many of our monthly trips are activity-focused (canoeing/kayaking, hiking/backpacking, skiing, whitewater rafting, rock climbing, fishing, bicycling, etc.) while others are destination-focused (military academies, historical sites, national parks, etc.). We go to a wide variety of destinations and try to find some new places to go each year. Each summer, we also participate in a week of summer camp at our council’s scout camp, Camp Sequassen. In addition to camping, we do community service projects throughout the year as well as annual fundraisers to support our troop program and activities. Our troop meets most Sunday evenings throughout the year at St. George Catholic Church in Guilford, CT. Boys in the troop have found that Sunday evening meetings do not interfere with most school and sports commitments so our troop meeting attendance is typically quite high. During the meetings, the boys learn scouting skills, work on merit badges, play games, and prepare for upcoming camping trips. Troop 471 is a medium sized troop. Each year we typically have between 30-40 scouts participating in our program. Running the troop is very much a team effort. We are very fortunate to have a large number of parents involved including several Assistant Scoutmasters and many additional parents that volunteer their time as members of our Troop Committee or as merit badge counselors. If you are interested in learning more about Troop 471 or possibly joining the troop please contact our Scoutmaster, Michael Scott. Scouts BSA, Troop 471 is for boys who are 11, or are at least 10 years old and have completed the fifth grade or have earned the Cub Scout Arrow of Light Award, through 17 years old. 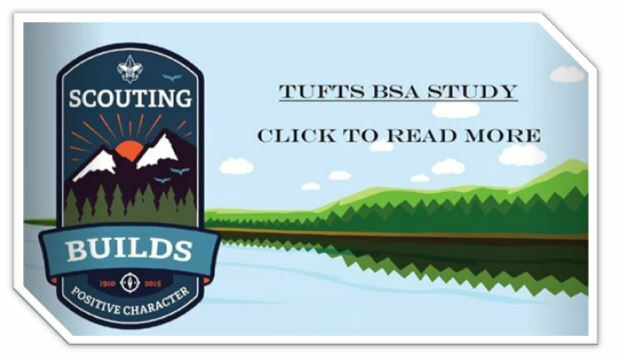 Boys experience a vigorous outdoor program and peer group leadership with the counsel of an adult Scoutmaster to achieve the BSA's objectives of developing character, citizenship, and personal fitness. Camping, fun with friends -- and more. It’s the adventure of a lifetime. Click the "Join now" button to contact our Scoutmaster and learn more about Troop 471 and our great program! If your son or daughter is currently in first through fifth grade please consider joining one of the Cub Scout Packs in Guilford - Cub Scout Pack 472 or Cub Scout Pack 475. Why you should thank this Eagle Scout every time you take a selfie. Support the CT Yankee Council with the click of your mouse. Use this link whenever you shop online and 5% commission from each purchase benefits our council. It doesn't cost you anything more than you're already spending on Amazon.